﻿ Billy Pendawa Homestay, Bali | FROM $13 - SAVE ON AGODA! "This is the best stay ever!" Have a question for Billy Pendawa Homestay? "Nice little terraces with every room." Visit the Billy Pendawa Homestay and take in all that Bali has to offer. This property is near Wake Bali Art Market, Anika Tailor, Gereja Katolik Santo Fransiskus Xaverius, Lippo Mall Kuta, and Kartika Plaza Street. With a smoking area and safety deposit boxes, it has various convenient features to make your stay more comfortable. It has restaurants on-site and room service, so you can eat in or grab something small to munch on. Offering guided tours, the Billy Pendawa Homestay is a great spot to stay to learn about the area. Massages are available, so if you want to spend your day simply relaxing and unwinding, you can treat yourself like royalty. The Billy Pendawa Homestay has two floors and 10 bedrooms. Featuring a garden, a spa, and ticket services, this property has everything you may need to make your time away as enjoyable as possible. From a concierge to dry cleaning services, the Billy Pendawa Homestay provides a variety of useful services for guests to utilize. There's free Wi-Fi available in all rooms, as well as Wi-Fi in common areas, ensuring that guests are always able to connect with their friends and family back home without splurging on data and roaming costs. The Billy Pendawa Homestay provides around-the-clock front desk services, ensuring that there is always someone on call to help with any questions whenever you may need. The property allows pets, saving you the trouble of finding the perfect pet sitter while you're out of town. The Billy Pendawa Homestay gives you access to various transportation options, such as airport transfers, car rentals, bicycle rentals, shuttle services, and taxi services. Tegal Sari Bus Terminal is 9.1 km away and Bemo Gunung Agung Bus Terminal is 9.8 km away. The nearest airports are Ngurah Rai International Airport (DPS) and Lombok International Airport (LOP), which are 1.8 km and 120.4 km away. The Billy Pendawa Homestay provides express and 24-hour check in and check out, enabling you to conveniently choose the option that best suits you. I was so happy to have found this place after staying in 4 other places nearby that were ok for the same price I found a little sanctuary! Down a laneway (gang) so that there is absolutely no traffic noise it is so peaceful yet 2 mins walk to Lippo mall 5-10min to Discovery mall. Lots of minimarts,currency exchange etc 1min away. The gardens are lovely, rooms are super clean as is the bedding. Hot water in the shower. TV with many English (plus other) channels. Nice little terraces with every room. The family are so lovely and smiling and helpful but are unobtrusive and leave you to have your space. Highly recommend and will return myself. they made up our room everyday even it's a budget hotel. unfortunately, they are expanding a new building; little bothered but over all it's really a nice home stay for us. will consider to stay here next time. I love my stay at the Billy Pendawa Homestay. I felt like I was staying at home. It is a very comfortable stay and I love the quiet surrounding. The room is cleaned everyday and the bed is so comfortable to sleep. Billy Pendawa Homestay is a nice place to stay. The room is clean and spacious. 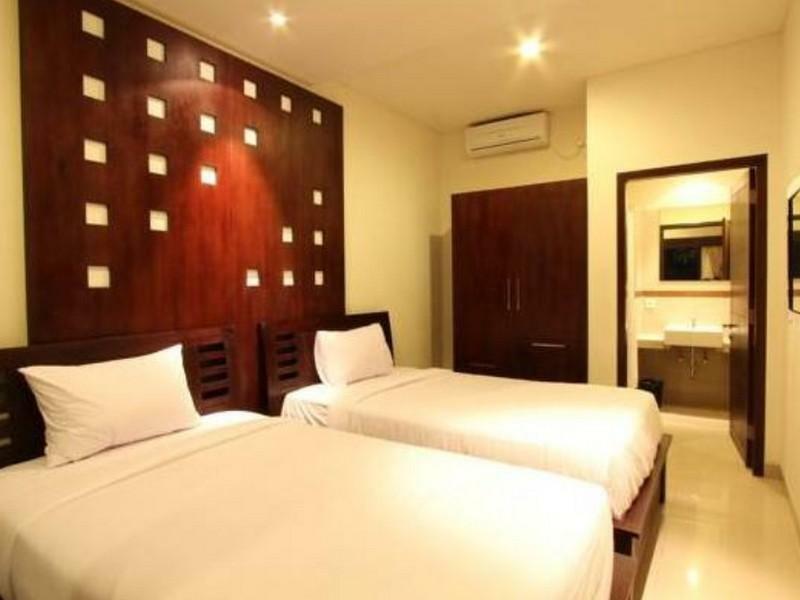 The homestay is safe and the location is good which is near to Waterbom Bali and shopping malls. The staffs are friendly and helpful. the room is big enough, not clean, but you get what you pay for. there are no parking space for cars, bathroom is dirty and smell not good. More than 2 person in each room, they charge you 100.000 each night each person. I dont like the surrounding, to dark at night in the road to homestay. This is the best stay ever! It is home away from home. Nanin and her family run this guest house. They are super friendly and helpful. While staying in Bali, we encountered volcano eruption and the airport was closed. They helped us in every way possible to get the transportation/laundry we needed. The guest house is on a small lane branched out of the busy street. It is safe, quiet and tranquil. You can see Nanin and her family in action to experience the true Balinese lifestyle. Good location. Unfriendly staff. Smelly bathroom. Low water pressure of shower. The room is new and modern. Facilities and cleanliness is very good. The reception(the host lady) very helpful! The location is inside a small lane so not easy to find at first time. It is good that it only take 5 min to main street but quiet at night. You can rent a motobike or asking the airport shuttle( fee charged) though the reception. We had a nice stay here. We were 6 people making the booking the day before arrival, our taxi driver had no problem finding the place. Close to the airport but still no sound from departing or arriving airplanes. Nice and clean rooms. Nice facilities overall etc. I chose to stay here because of the high-graded reviews in agoda. Surprisingly, besides very reasonable prices, the homestay is absolutly close to many minimarts & restaurants, with 5 minutes walk to Lippo mall and 10 minutes walk to Discovery Mall (adjacent to Kuta beach). The room is clean by daily care from warm officers. However, there are only few facilities in the room. But if you're an easy-going traveller who has limited budget, this homestay will surely rank as the top choice. Stayed only 1 night in the hotel, in a room on 2nd floor. Pro: - Close proximity to airport, only costed us Rp16k using metered taxi. - Great location to tour the area on foot. - Nice firm bed. - Room is quite nicely decorated. Cons: - Toilet smells & has a lot of grimes - Chemical used to clean d floor leave sticky feeling - Rather bland breakfast Being a budget hotel, no toiletaries provided except bathing towel. I suppose, for a budget, it is rather ok.
6 days stay at Billy Pendawa Homestay during my training, exam and holiday with my wife is feels greats! The served, room and enviroment around is very nice and quite. Billy Pendawa Homestay will be my favorite place to stay for every next trip to Bali. I loved my stay here. Even though they didn't have breakfast provided, it was easy to walk out of the hotel and find food nearby. The room was very clean and neat. It would have been nice if they provided us with some drinking water on the second day. The staff was very nice, easy to check in and out. Nice room with balcony view. The bathroom was a bit small but sufficient amenities. We were greeted as soon as we arrived. Owner was helpful and helped us to call for driver but the price the driver quoted was too high. It's better to walk to the main road where there are many tourist info booth where you can book tour packages and rent a car with driver. Short but very good. Staff were outstanding. Very friendly, polite and helpful even going out of their way to assist me. Location was very central but also off the main road allowing for some quit. Only stayed one night but would have stayed at the hotel if I would have stayed on in Kuta. 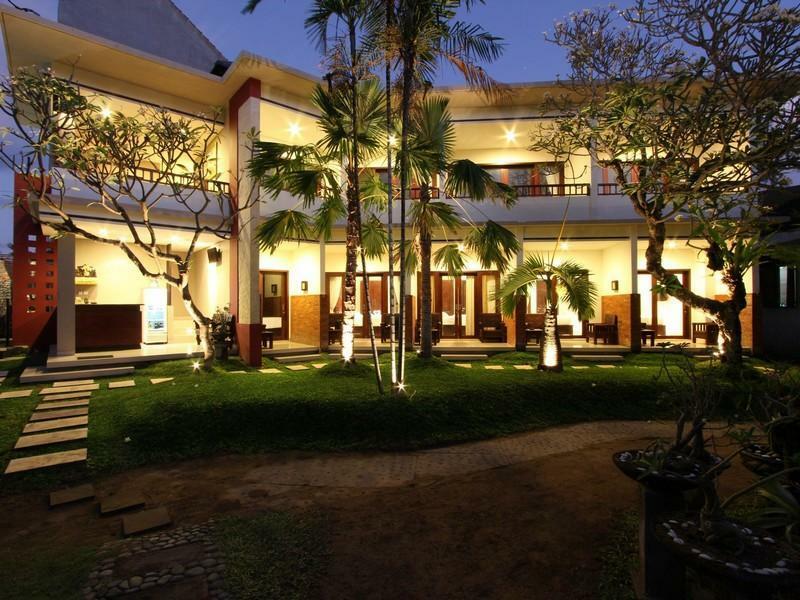 Kuta is very buissy and touristy so did not like the area but the hotel was excellent. Near to shopping center and to the beach. The hotel receptionist is very friendly and can speak a really good command of English. I definitely would recommend this hotel, 10/10 would come back again, keep up all the good work Billy Pendawa!! We booked for three days but stayed for one week. The welcome was so nice and warm, very friendly staff. Nera, the daughter of the owner took really care of us. Breakfast was included, but, because we didnt use it everyday, they gave us free Transport to the Airport. The rooms are new and stylish, with an own veranda, air con, sooo comfortable beds, you can get breakfast to your room in the morning, just perfect. Only thing, if you are in Kuta for partying, you have to walk either 1/2 hour to get to Legian Street, or you take a taxi. Make sure that you drive with Taximeter, comes you much cheaper (3-4 Dollars)!!!! The friendly family Nera & her mum and other staffs, the room is always cleaned & the peace & quietness surroundings. We loved our stay. We had no issues we felt safe and we did not experience any unpleasantness. Its very homely and its very good for independant travellers and whom likes to get adventurous. If you nid to get some stuff, u can walk out to many convenient stores at nite. It is aso near waterbom park, you can also walk to jln poppies 1 or 2, do some shopping or massage, u can walk to the beach so nearby. Its was awesome! i needed a hotel close to the airport for a night, and chose billy pendawa for its price and location. It's only 7 minutes from denpasar airport, and has tons of food places around it for someone looking for a quick meal. purely backpacker / budget accommodation though, so manage your expectations. there were some bugs so bring repellent with you.